And I Love Her Violins- Get too know us! Weddi Award at the 2016 Wedding Wire World Conference. Awarded for the most Vendor Endorsements in the Music Ceremony Category! Thank you Cindy Cerda Photography for the photo. Thank you Echard Wheeler Photography. Violin and classical guitar duo! And I Love Her Violins! Elegant music for special occasions! We would love to play for your wedding ceremony, cocktail hour, proposal, funeral or special event. We are award winners of the Weddi Award for the most endorsements in Ceremony Music from Wedding Wire! This is a national award! We are present or former members of the Virginia Symphony! We offer solo violin, strolling violin, trumpet, violin/classical guitar duo, violin/cello duo, violin/trumpet duo, string trios and string quartets. We will help you select music and make this process of your wedding planning carefree. 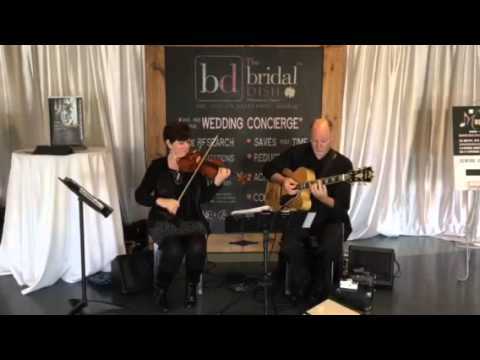 With many years of experience playing for weddings, you will love the music we provide. Anastasia was lovely and played beautifully. Very accommodating. Her play list was very appropriate and soothing for our special gathering. She actively participated in the planning of the musical component of our event. Just as important, she was very punctual. Many of the attendees complemented her performance. Definitely 10 out of 10. Beth and her guitar accompanist, Steve played at our wedding. They were awesome. The duo played music for our ceremony and the following dinner hour. Everyone enjoyed them immensely. Beth was a pleasure to work with and I would highly recommend her for any event. Professional. Talented. Lovely person! Thank you for your kind words! Best wishes for a very happy life! Thanks so much for being very accommodating and patient with us while we worked out some kinks prior to the ceremony. We truly enjoyed working with you and having your beautiful music accompany our ceremony. Having live music was such an important part of our wedding and we are happy to have reached out to you for your music and overall service. Thanks again!! Thank you Frances! 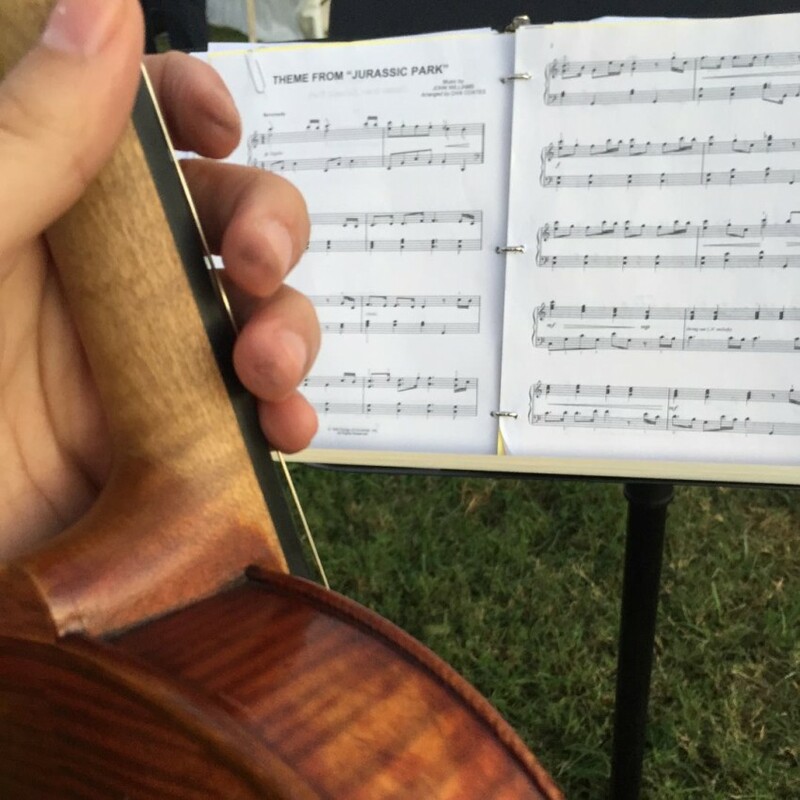 I loved playing for your wedding! The Mariner’s Museum is a beautiful venue! Thank you for the five star rating! Best wishes! Beth did a great job. She played single violin at our wedding. Played the songs we wanted and gave me a hand warmer because she saw I was freezing. She’s a great person and a great musician. Thank you Kyle! I loved playing for your wedding! Best wishes! Our violinist (Beth) was the absolute best! She was professional, very accommodating and played beautifully! Beth was outstanding...she was on time, in fact we were early and she was already there! She is truly a talented musician and was able to play a song I requested with only 24 hours notice brilliantly. I strongly recommend her; I would not hesitate to ask her to play again at my next event. Thank you so much! I really enjoyed being a part of the birthday celebration! Our guest and members loved the atmosphere. Thank you Andrea! I loved playing for the Valentine's Day dinner! Erin Du Bose was absolutely charming. Filled with personality and an absolutely beautiful voice. She was on time, professional and yet exuded a warm presence. she sang for my wife and me at our table for Valentine day dinner and received an ovation from the entire restaurant. I am so glad you loved having Erin sing for Valentine's Day! Thank you! We are so very thankful for the opportunity we had to have And I Love Her Violins play on our wedding day. The musicians were very punctual, professional, and played our selections so beautifully there was not a dry eye to be found. I would HIGHLY recommend And I Love Her Violins to anyone. Thank you for adding so wonderfully to our day. Thank you and congratulations Lazette! I am so glad you were pleased with the string trio! Beth played at my sister's burial service. It was a solemn day, very rainy and grey, Beth's renditions were touching and flawless. She made a very sad event beautiful. Thank you Susan! I loved playing at your sister's funeral. The Guitarist Was here on time, set up and created an amazing atmosphere with his music. Would love to use him again at other events. We have events on a regular basis through out the year. Thank you Gloria for the great review! I am glad you were happy with Patrick, guitarist and the booking experience with And I Love Her Violins! Thank you for hiring us for the event! Beth did an amazing job and was a perfect touch to my wedding proposal. She was on time, was willing to learn a new song for my request, was easy to get in touch with for coordinating the proposal, played beautifully during the proposal and played a song after for us to enjoy. Her experience playing violin definitely shows and I highly recommend Beth if you're ever in need of a violinist! Thank you Jaine! I loved being a part of your big day! I wish you both the best! Beth played in the background of our proposal and did an absolutely wonderful job. She was willing to play whenever I needed her to, which I did not expect from a person I have never met. Highly recommended for any event, she will not disappoint. Sean, Thank you for your kind words! Congratulations! Words cannot express the beauty and dignity Beth emparted on a very important event. I applaud her talent, her patience and reserve. Cindy, Thank you so much for your kind words! And I Love Her Violins provides live wedding ceremony music, cocktail hour music, birthday parties, proposal events and music for special events. We offer solo violin, classical guitar and violin, classical guitar duo, and violin, guitar and vocals, violin and cello duo, string trios and string quartets. We will travel to your location, but mainly perform in the Hampton Roads area and the Outer Banks of North Carolina. We are professional musicians who just love to play for weddings. 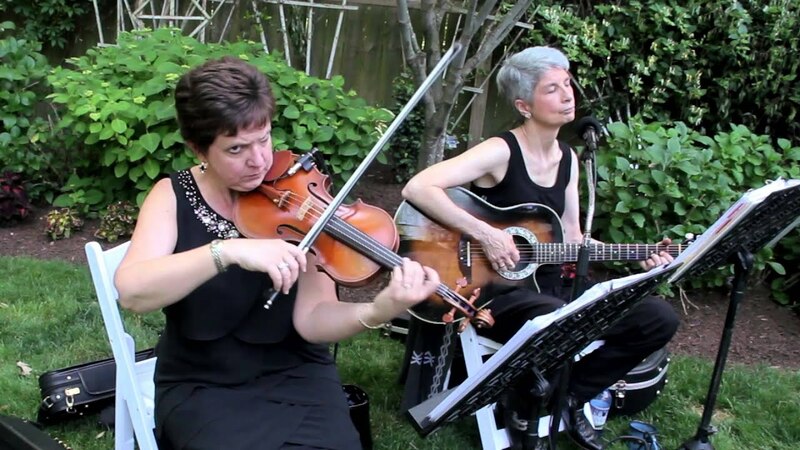 We play weddings on the beach, in parks, at your church or venue of your choice. We provide our own amplification and do not need electricity for our amps. We are preferred vendors of The Bridal Dish by House of Maya, the Norfolk Botanical Gardens, Signature at West Neck and 2015 Couples Choice with Wedding Wire. We would love to play for your wedding or special event! And I Love Her Violins provides music for your wedding ceremony, cocktail hour, funeral or special event. We are professional musicians, present or former members of the Virginia Symphony. For weddings, we provide a 20 minute prelude, music for the bridal party, music for the processional of the bride, special music during the ceremony, recessional and postlude music. We will perform indoors or outdoors with our own amplification and will work with your organist if you are having a church wedding. We offer solo violin, strolling violin, trumpet, violin/classical guitar, violin/cello, violin/trumpet, string trios and string quartets. We are available in the Hampton Roads Area and the Outer Banks. All the musicians with And I Love Her Violins are professional musicians who have played numerous weddings. We will help you with music selection and make your ceremony simply beautiful. We only need for you to provide armless chairs for our performance. We provide all the amplification and are able to perform outside without the need for electricity. We look forward to performing for you! We perform classical to contemporary music. We will be happy to learn your favorite song for your wedding ceremony! Below is a list of selections to help you get started planning your event.